The Urine Balance Test aims at detecting alterations of the Th1/Th2 balance. The test allows patients and doctors to follow-up on Th1/Th2 balance during therapy and to evaluate whether the treatment is really effective. 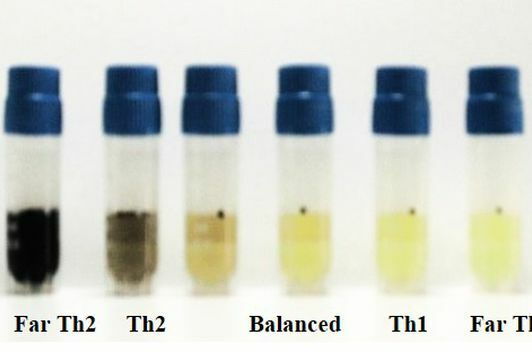 In addition, the test also provides a tool to check the effectiveness of over the counter products claiming to balance Th1/Th2 status such as: anti-oxidants, probiotics and other. Thus far Th1/Th2 profiles can only be determined in specialized laboratories with blood-based tests practically hard to be performed repeatedly over short periods of time.